It's easier now that it has ever been to keep track of a music festival without being there. Major festivals like Glastonbury will broadcast live from their main stages and big shows often surface on social media mere minutes after the final track draws to a close. With live-streams on social media gaining traction by the day, it was really only a matter of time before a festival got the exclusive platform stream treatment. As it turns out, the platform is Twitter and the festival is FYF. Short for, ahem, F*** Yeah Fest, FYF has been going strong since debuting in LA in 2004. Since then, the 3 day event has attracted crowds in excess of 30,000 people. This year, the lineup includes heavyweights like Frank Ocean, Bjork, Missy Elliot, Nine Inch Nails, A Tribe Called Quest, Solange, Iggy Pop, MGMT and Anderson .Paak. At $329 for a weekend pass (which doesn't include any kind of camping), it's not the cheapest festival in the world, which is probably why some will be glad to discover the new Twitter partnership. All US residents will be able to stream the festival from their official account page, and the footage will include interviews and behind the scenes footage as well as stage shows. There's a catch, though, only the Saturday and Sunday shows are being streamed, so if you were dead set on catching any of the Friday acts, you're out of luck. As stated above, only American users will be able to see the stream, so anyone separated from the festival by, say, the Pacific/Atlantic Ocean will have no option to view it. Regardless, it's a good idea, and partnering with Twitter was a canny move on FYF's part. 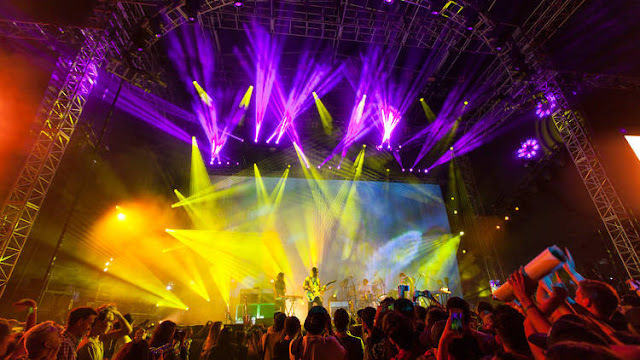 They've had more success with streaming music than any other platform, and FYF probably won't be the last festival to enlist their services for it.